When playing snooker, you need a specialized cue that meets the standards of the game. With our selection of snooker pool cues, find the perfect addition for your next game. A snooker cue is different from a traditional pool cue and will have a big impact on the way you play the game. Designed to be thinner with a much smaller tip, a snooker cue needs to be skinnier and weigh less than a regular pool cue. Snooker cues also need to be very stiff and must be made from harder woods such as ash or maple with a straight taper. While this type of design allows for a strong impact when played correctly, there is little to help minimize cue ball deflection from a side spin. Finding the right snooker pool cue combined with practice will help improve your game over time. We offer a wide selection of snooker pool cues to help you take your playing to the next level. 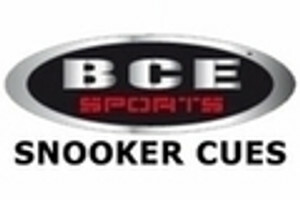 We carry top brands like BCE and Riley, ensuring you the highest quality snooker products and service available on the market. While snooker cues are often the same length as your standard billiards cue of 58 inches, the weight varies from cue to cue. 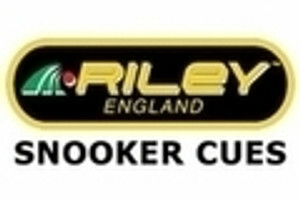 It is important when choosing your snooker cue that you find the weight that is best for your playing skills. While weight will not have a direct correlation between impact and power, the right weight can help you achieve the best balance for your needs. We offer cues of various weights and wood types to help you find the right choice. Every cue we offer has been made with the highest standards of quality craftsmanship for an exceptionally high-performing product. No matter what weight, wood type, or visual design you prefer, find the perfect choice for your next game with these affordable solutions. At Ozone Billiards, we are pleased to supply you will all your game playing needs. If you have any questions while shopping with us, please contact one of our friendly staff members for help.